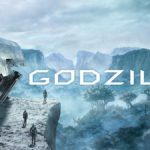 Godzilla: Monster Planet Now Available On Netflix! The King Of The Monsters lives again! 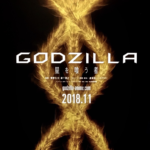 After premiering in Japan late in 2017, Polygon Pictures has brought their new Godzilla film to audiences worldwide thanks to the power of Netflix! 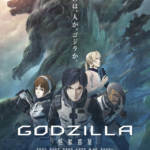 Godzilla: Monster Planet is the first ever animated film featuring the legendary monster, and is set in a world where kaiju have ruled Earth unchallenged for thousands of years. 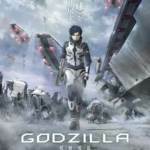 Monster Planet is the first in a planned TRILOGY of animated Godzilla movies! Be sure to check out Godzilla’s latest adventure and stay tuned to TokuNation for all monster news! 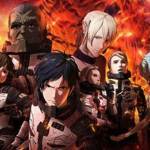 Godzilla: Monster Planet Anime Full Trailer Online! POLYGON PICTURES has released a new full-length trailer for their upcoming Godzilla anime project, Godzilla: Monster Planet! This story features humanity returning to Earth after 20,000 years in space to find a planet ruled by Kaiju, and the Earth Returnists must unite to reclaim their world. Written by Urobuchi Gentaro, Godzilla: Monster Planet will be released in Japan on November 17 2017 with a worldwide release hitting NETFLIX later in 2018! New Godzilla Anime Project Revealed- Gentaro Urobuchi To Direct! Toei has opened an official website announcing a new GODZILLA anime project! This new feature will be written by Gentaro Urobuchi, who most fans will probably recognize as the mind behind Kamen Rider Gaim! The animation will be handled by Polygon Pictures, the studio responsible for Knights of Sidonia and Transformers Prime. Sadly, no major story details have been revealed at this time. Currently, the Godzilla anime is scheduled for a release in 2017! Stay tuned to TokuNation for further details. All times are GMT -4. The time now is 5:56 AM.